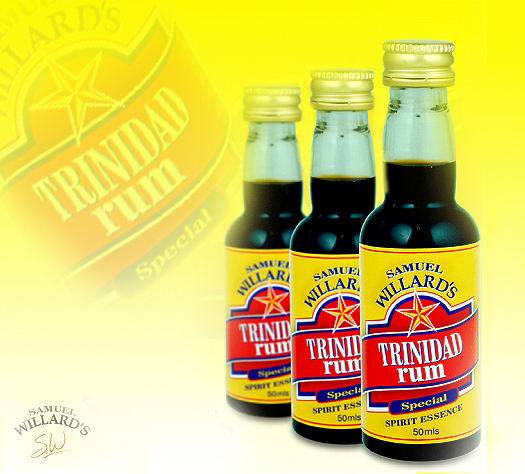 Samuel Willard’s Trinidad Rum has that special Caribbean style rum spirit and taste. The definitive flavour comes with a natural sugar-cane sweetness and makes this a great base for Rum cocktails. Samuel Willard’s Trinidad Rum essence produces 2250mL of spirit from each 50mL bottle.